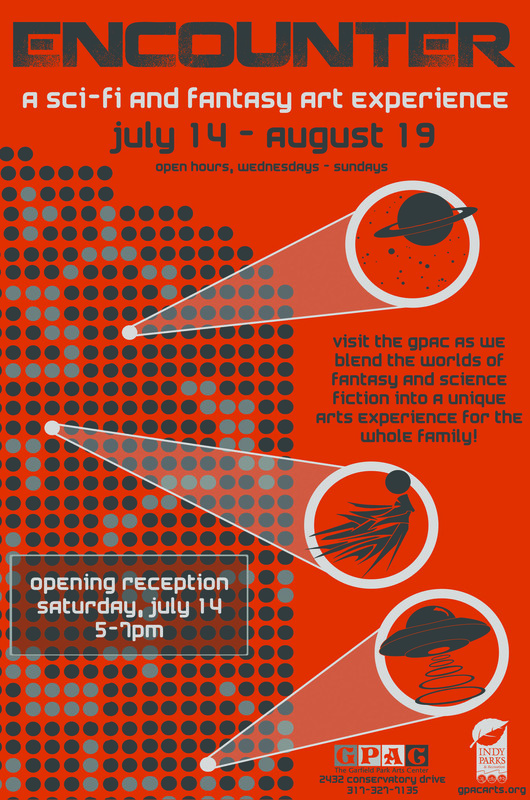 This summer the GPAC will blend the worlds of fantasy and science fiction into a unique arts experience for the whole family. From dragons to robots to outer space, this exhibit is sure to be out of this world! After you experience the exhibit, turn yourself into an otherworldly creature from a science fiction movie! We provide the materials, you bring the imagination. 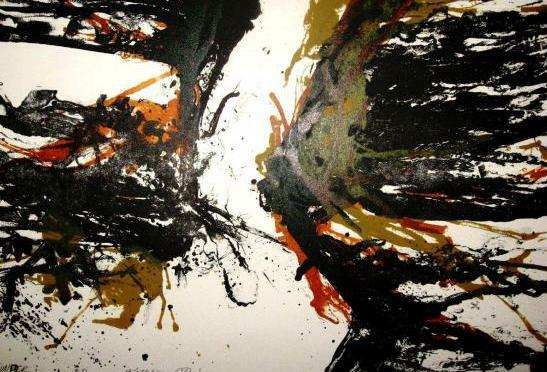 The Garfield Park Arts Center in partnership with the Southside Art League is pleased to feature the winners of the annual Midwest National Abstract Art Competition. Celebrating its seventh year, the exhibition has attracted artists from over 30 states. Visit us Saturdays and Sundays in the Arts for All room as we create contour line drawings and wire sculptures. Curious about the classes, workshops and other programs at the GPAC? 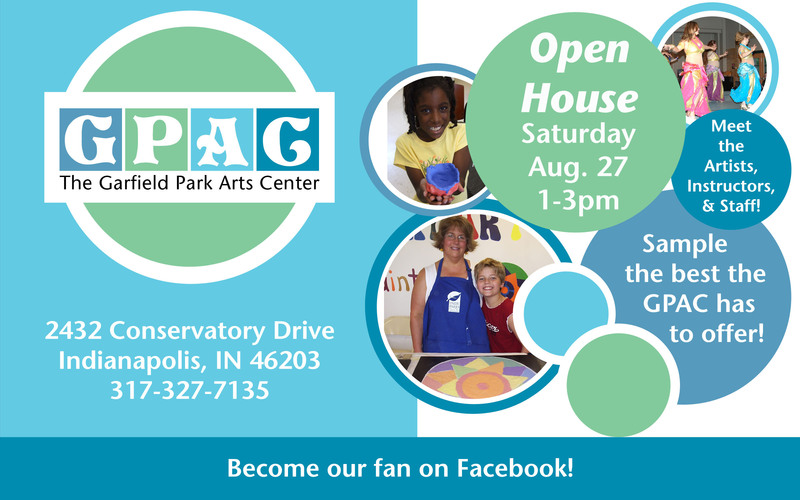 Join us for our Open House on August 27 from 1:00 – 3:00 pm. Teaching Artists representing many of our offerings will be on-hand. You can see demonstrations, ask questions and even register on site. Questions about this event? Our friendly staff can help! Call our front desk at (317) 327-7135. Marc Lebryk, advertising and marketing staff photographer for The Indianapolis Star, will give a “live view” demonstration on the use of flash photography for on-location shoots at 6:30 p.m. Wednesday, July 27, 2011, in the main exhibit hall of the Garfield Park Arts Center, 2432 Conservatory Drive, on the Southside of Indianapolis. Marc plans to tether his camera to a laptop computer and video projection equipment that will allow him to immediately display on a large screen, for the audience to see, each image he captures — at the moment he captures it — as he explains and makes adjustments to his lighting setup and equipment in pursuit of the ideal lighting for various scenarios. Marc, also a freelance contract photographer and an official photographer of the Naptown Roller Girls roller derby team in Indianapolis, is a user and proponent of the so-called “killer flick of light” — a pop of electronic flash programmed at significantly reduced power that, in many situations — including his roller derby photography — is all that is needed to sufficiently illuminate a scene. Marc’s visit is being hosted by the Indianapolis Photographic Society, a club of Central Indiana photographers that meets every Wednesday at the Garfield Park Arts Center. Members of two other area photography clubs have been invited to attend this special presentation, but it also is open to the public. There is no admission cost. Garfield Park is the oldest city Park in Indianapolis. The statue near the Conservatory is Henry Ware Lawton, a Civil War hero who led the capture of Geronimo. Garfield Park was originally purchased to be a racetrack. After a couple of unsuccessful years, the track shut down and the land was purchased by the City of Indianapolis to become a public park. 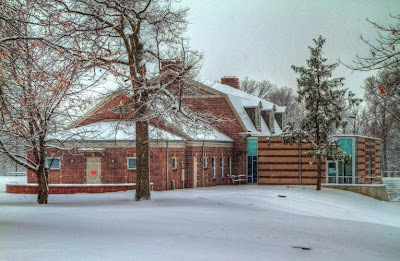 In the 1930s, the Garfield Park Arts Center served as the winter home for the Indianapolis Zoo. The beautiful Pagoda picnic shelter was built in 1903, and offers a great view of downtown Indianapolis. Garfield Park used to be called Southern Park, and was renamed following the assassination of President Garfield in 1881. The Conservatory’s Sunken Garden was completed in 1917. In 1965, Johnny Cash and June Carter Cash performed at the MacAllister Center. The Conservatory features tropical plants, bonsai trees, birds, tree frogs, koi ponds, and a beautiful waterfall. 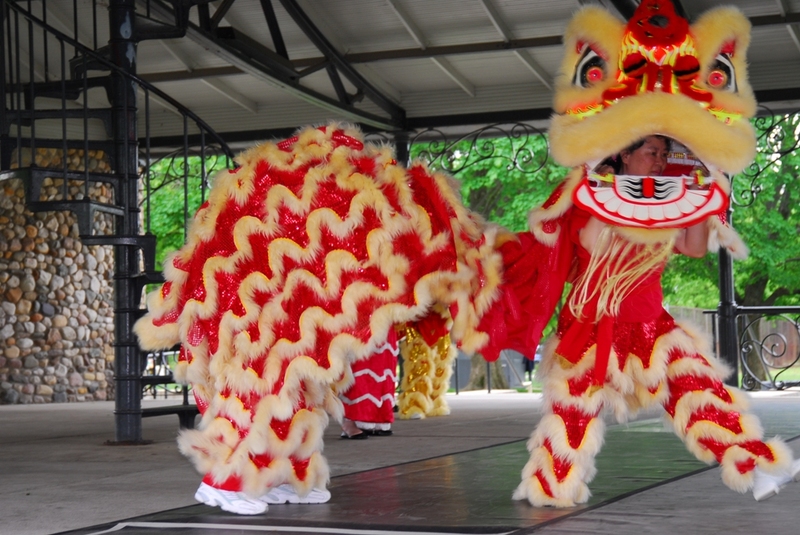 The Garfield Park Arts Center has an Arts For All room that offers FREE arts activities on Saturdays and Sundays during the school year, and every day in the summer. All ages welcome! We tweet! You can follow Garfield Park Arts Center @GPACindy and the Garfield Park Conservatory @GPConservatory1 to keep up on the latest events and programs.